So, it’s agreed that everyone loves animal prints, right?! Well, many people do, but some have a hard time differentiating the two. Let me help you! Cheetah spots are typically much simpler than leopards spots. A true cheetah print will consist of simple black, solid spot. Leopard spots on the other hand usually are clusters of black spots with some brown regions. They tend to look more like complicated rosettes than just dots. A true fashionista knows her prints and wears them well! What’s your favorite print? 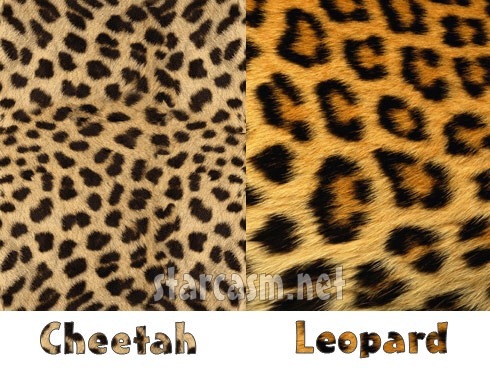 Mine is Leopard, but I do love Cheetah too! Entry 020: Floral + Leather + Leopard, Oh MY! I know the difference and I tend to wear both together. I know that may be a fashion faux pas but i don’t follow fashion rules. As for my favorite it use to be cheetah but now… now it is Leopard.